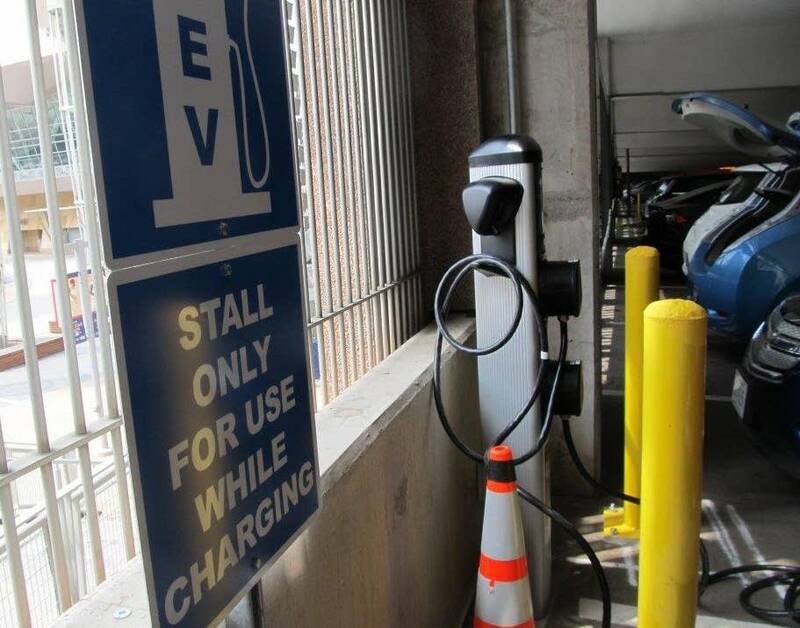 Minneapolis has installed 39 charging stations for electric vehicles in several downtown parking ramps, city officials announced Wednesday. Most of the money for the stations came from a $220,000 grant from the Minnesota Pollution Control Agency, the rest came from the city and the Minnesota Department of Transportation. The stations will help the city meet its goals for reducing greenhouse gas emissions, City Council member Cam Gordon said. "It's not going to be easy," Gordon said. "And one of the things that's going to help, is if we move away from using our gasoline-powered cars for transportation in the city. And this is one small step towards that." There are about 2,000 electric vehicles currently owned and operated in the state, according to an estimate by Drive Electric Minnesota, a coalition of government entities, business and private groups that advocates increase use of electric vehicles. One of those owners is Mark Hanson, who drives a Tesla sedan. Hanson estimates the car, which retails for more than $80,000 before the federal rebate, has saved him about $2,500 in fuel costs per year. He said it would cost him about $9 to fully charge his car using one of the newly installed stalls. Hanson said he can travel 260 miles on a full charge. "So, about three gallons of gas - about 70 miles per gallon cost equivalent for this charger," he said. Hanson said some chargers will renew his car's battery at a faster pace. He said some chargers are free or are more expensive. 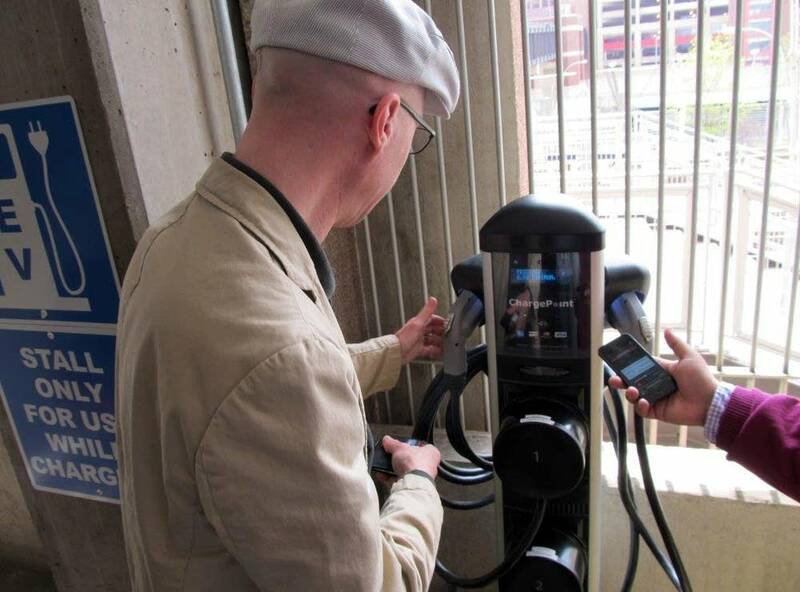 To find other charging stations, Hanson uses an app on his smart phone.